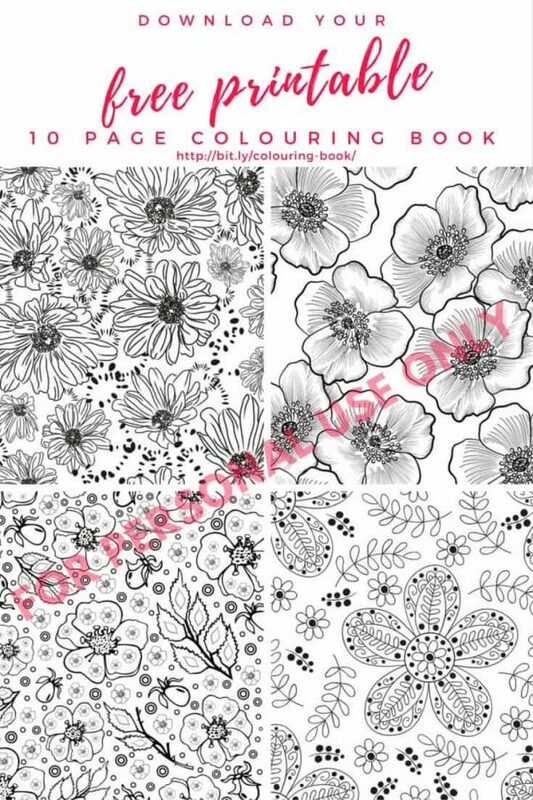 Are you crazy for printable colouring pages?! 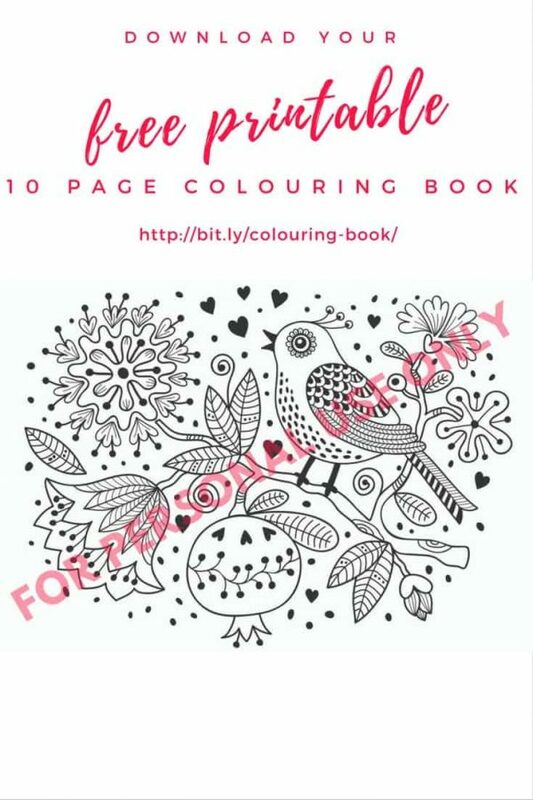 I’m so excited to offer you these free printable colouring pages that I’ve been working on! Of course, I had to grab my Zutter Bind It All machine (THE holy grail of binding machines!) and make it look fancy as flip! 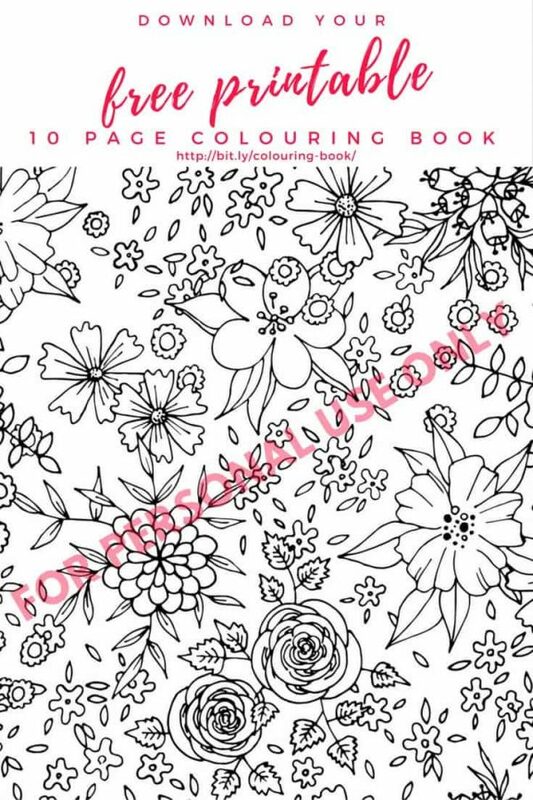 Colouring is an awesome hobby, and it’s great to help you slow down and switch off. 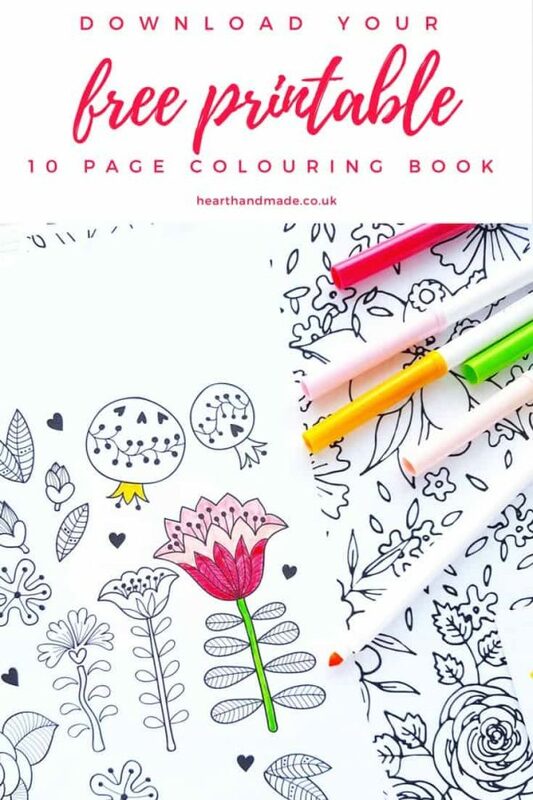 Using the Zutter and my favourite tools, I managed to improve my Printable Colouring Pages in just one day by turning them into an awesome book! 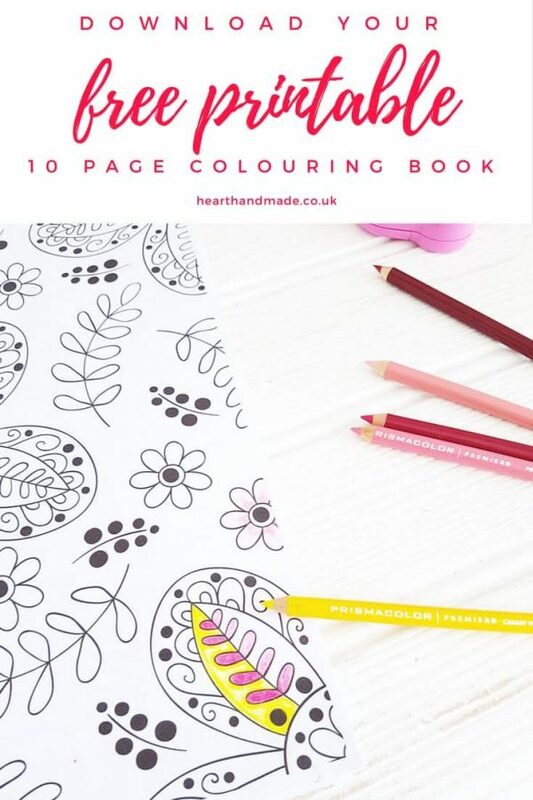 How To Improve Your Printable Colouring Pages! Open your PDF. 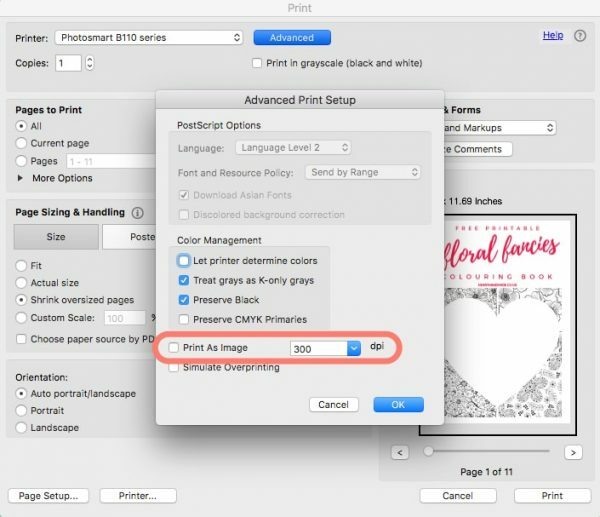 Most computers come with a program that allows you to open PDF’s but I advise you to download a free trial of for their advanced printing options. 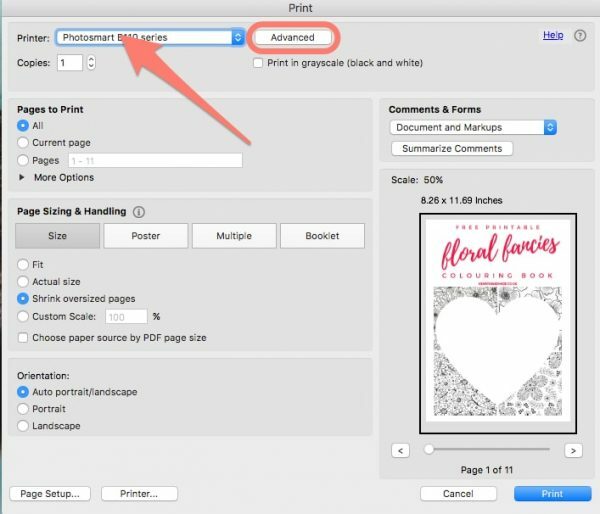 When you open the PDF, hit the printer icon or use keyboard shortcut CTRL + P (for windows users) or CMD + P (for Mac users). Use bright white, printer paper like this stuffand photo quality black inks. Recently, I decided to start binding any workbooks or colouring pages that I print out to keep them together. Back when I was at university, I had a binding machine that used plastic combs, and I loved binding things, I’ve no idea why! It seems a little strange, doesn’t it? I’m COMPLETELY obsessed with my Zutter Bind It All Machine!!! 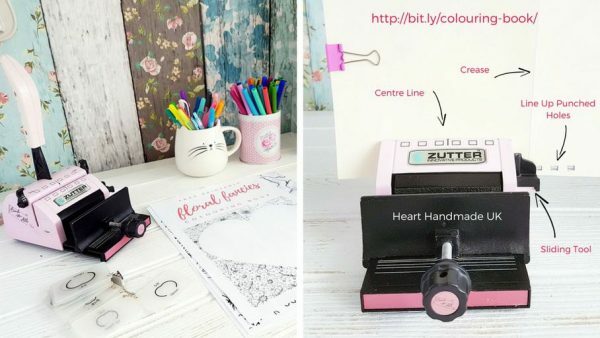 It’s a tool that gets used by scrapbookers everywhere to create mini albums and by me for colouring books, building my sketchbooks, workbooks and even more. It’s an excellent tool! Head Torch – say what now? Exactly! Makes it SO much easier to see what you are colouring! 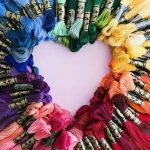 Crayola Supertips Markers – sometimes I use Crayola Markers, it just depends in what mood I’m in! Sure, I look like a crazy lady when I’m colouring and wearing a head lamp like I’m a miner, but it really does help! The Pigment app is my favourite! 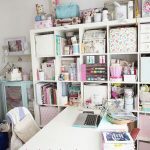 I hope that you found the advice in this post useful, I’ve been obsessed with free printables for years and I’m really not sure why. When I was 14 years old I used to print out google images and used them to decorate my walls. Of course, that’s not legal at all and I’ve mended my ways. Now I use legit printables and pay artists what they’re due! 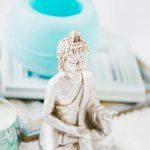 Etsy is my favourite place to find printable wall art but there are also some amazing free printables that I find via Pinterest. 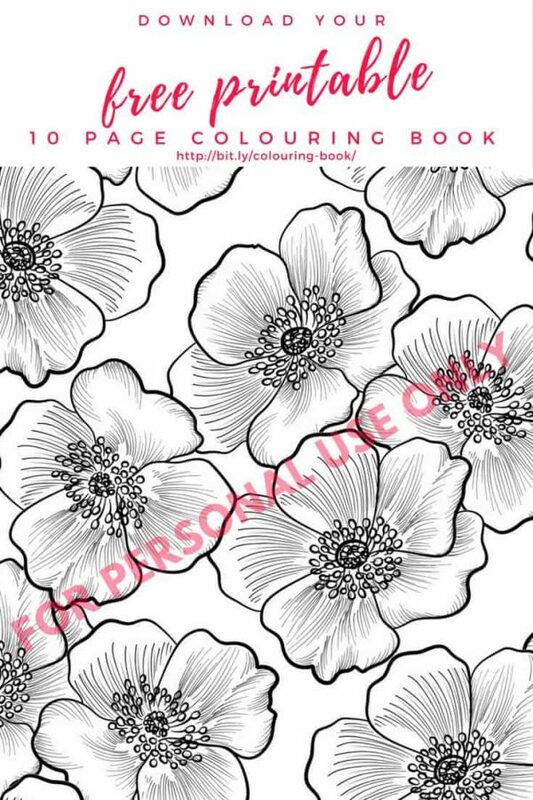 ++2 Free Colouring Pages & Learn How To Make Your Own! Do you have an app recommendation for me? I would love it if you shared this post with your friends using the buttons on the side or above! Love the printable and I love using the Zutter Bind, I had fun creating memory books for my kids for Christmas a few years ago. Shared to Facebook! I splurged with a 40% off coupon at Michael’s but I need to get it back out and make “something”.